Florida Worker's Compensation quotes and insurance alternatives. Florida Workers Comp Pay As You Go Programs! In virtually every state Florida Worker’s Compensation insurance is mandatory. 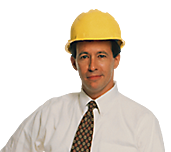 Employers are required to carry Workman’s Comp Insurance on their employees. Employers who do not carry Florida Worker’s Comp for their employees (and may be paying small claims “out of pocket”) risk being personally liable for all medical bills from ANY accident in addition to significant governmental fines. For contractors, having proof of Florida Worker’s Compensation Insurance is usually required to be a subcontractor with a larger general contractor. Proof of Workman’s Comp coverage is provided by a Florida Worker’s Compensation Certification. TPM’s Pay-As-You-Go Program offers a worry-free solution to the traditional management of Florida Worker’s Compensation Insurance. With our program there are no up-front deposits. Traditional Florida Worker’s Compensation policies require a significant up front payment (Sometimes as much as 3 months of premium costs) to get a policy in place. That is why our program is the solution you need!